Yalong Bay is a 7.5 kilometres (4.7 mi) beach located southeast of Sanya City, Hainan Province, China. It is also known as the Yalong Bay National Resort. If you just want to lie on the beach, enjoy the crystal-clear water, sandy beach and resorts facilities, Yalong Bay is the best place to be. Yalong Bay is the best beach in China. The sea is blue and the sand is soft. You are advised to go to the private beach of your hotel as the public beach is always crowded. Many international hotel groups have established top-end hotels in Yalong Bay. 7km long, crescent-shaped white sandy beach. World-class golf course perched in the most idyllic of settings. Rolling green hills offering a cool, shady respite from the sunny beaches. Many national and international hotels. It is a perfect place to escape winter cold with an average temperature of 23 °C in January. 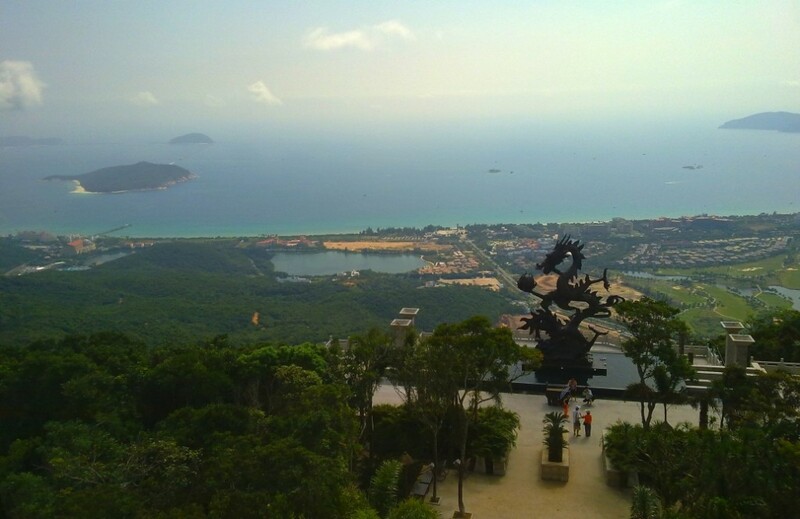 Situated about 25 km east of Sanya City and 35 km from Sanya Airport, Yalong Bay centres on a crescent-shaped beach of about 7,000 m. The sea water is so clear that visibility can reach as deep as almost 8 meters, making it a very good choice for scuba diving and snorkelling.